There aren’t too many places left on this planet where people life a more simple life, subsisting mainly on what the land provides. I recently came across a documentary about a village in central Siberia called “Happy People – A Year in the Taiga” where this is true to some degree: ancient traps exist next to snowmobiles. Speaking of documentaries of “modern” examples of traditional lifestyles, there is a documentary called “Cree Hunters of Mistassini” that shows several Cree families back in the 70’s that moved into the bush for their winter hunting and trapping. Highly recommended. There are, of course, a number of other documentaries about that subject (though many of them are not available for free on the internet like the two mentioned above). “Year of the Caribou” is another one I can definitely recommend. It shows a family who moved into a remote part of interior Alaska to live off the land (the DVD is available for sale online). Found the happy people documentary on paleoplanet? Haha, I have been checking out the same one lately. Lots of great stuff. I particularily like that they still use deadfalls and the details to which the construction is shown. Been reading a lot of various documents about Siberian people and it seems that many of the small scale reindeer herders of Siberia are very adaptable. They adapted well to Emperial rule, Soviet rule and capitalism. They are essentially hunter-gatherers for most of their livelyhood it seems. The ones that didn’t traditionally use reindeers for transport like the Ket, Yukagir, Itelmen and some other hunter-gatherer people didn’t do so well as is shown in that film. I did see it on paleoplanet although I found out about it through a forum about winter trekking (www.wintertrekking.com). I’ve checked out parts of the Russian documentary. Looks like much of the stuff is understandable through looking alone. Please tell me what additional information your Russian friend comes up with! Beautiful website; I hope I can find some of the documentaries on DVD — I am in a remote part of the Alaska Interior and my satellite internet connection isn’t fast enough for youtube. 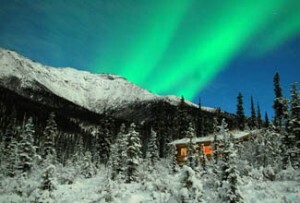 Am blogging my adventures at http://www.indeep-alaska.com if you are interested. All the best! I’d take the Cree camp over the Russian camp any day! Those ‘primitive’ Cree’s had more cargo than the average apartment renter. Did you notice all the dishes they had? And the cat!? Hunter/gatherers with house cats. Such a hard life- LOL. Thanks for posting your link Barbara, looks like you’re in a beautiful location. The Cree documentary was made quite a while ago and I imagine that the amount of cargo that people bring to their hunting and trapping camps has only increased since then. That is if any people of that area actually still do those seasonal camps…which unfortunately may not be the case any more. 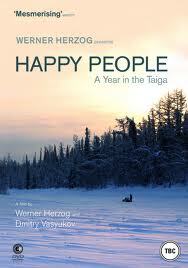 I have to say that the Werner Herzog`s “Happy people” is a cut version of the full russian film. It is cut for an american viewers especially, because “they dont like long films” – I read about it in one russian magazine, that Herzog said. And it is a pity, becaise the film is great. “Happy people” is a very popular film in Russia, but in a little “circle” – people who are interested in the same theme. Lots of russian people lives like them, and not only in Syberia. It is a normal life for far willages. Precisely, life as it should be (as often might happens worse). By the way, here is that place: http://g.co/maps/d32sp (google maps link), in russian called “Бахта” (Bakhta). I found your site accidentally, so I`m not going to stay here, but if you interested in something – ask me, maybe I can help. AS you said, there are a number of even more traditional living people in Siberia, such as some of the reindeer herding tribes, though from what I gather, for many their way of life is threatened too by mining and drilling operations, climate change etc.